Life with a toddler can get messy. From finger paints to piles of laundry, it seems like chores may never get done. By involving your toddler in cleaning, you can get help with the tasks, and teach your child critical life skills. 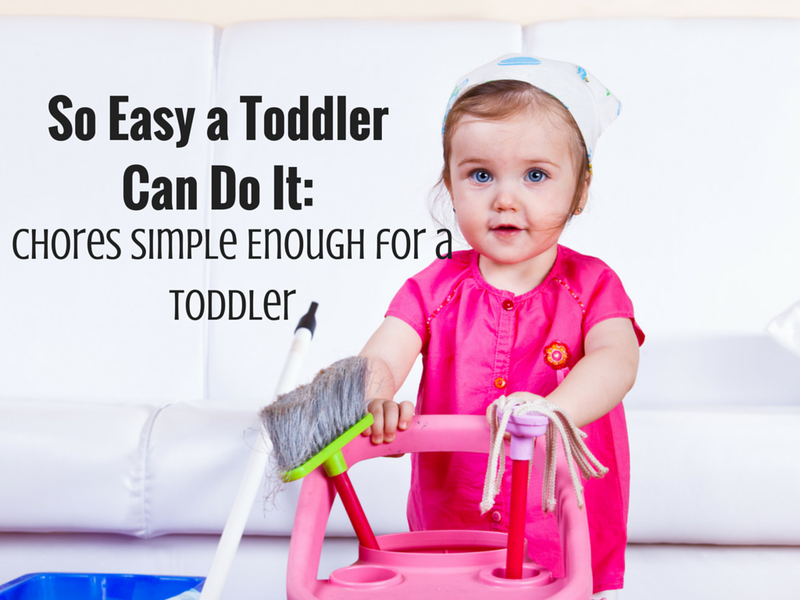 Here are some simple chores a toddler can learn to do. Toddlers love to take out as many toys as they can. They will dump out baskets of blocks, buckets of crayons, and boxes of books. Sometimes, they also enjoy putting things back into a container. Even if your child does not enjoy putting toys away, he or she can certainly learn the skill. Children of this age do get easily overwhelmed, so do not expect them to be able to tidy a whole room after an entire day of play. Either require your child to clean before a new toy comes out or separate out what he or she is expected to put away. At this age, children also do better if you are cleaning with them, so consider alternating putting away blocks, or finding some way to involve yourself in the process. Toddlers often eat off special toddler spoons, forks, and plates. Their place settings are frequently plastic, and thus fairly hard to break. You can teach your child to throw away napkins, put scraps of food in the trash, and bring his or her plate to the sink. Try to instruct your child to do the tasks in the same order every time. Repetition helps to solidify learning at this age. Remember that a toddler is just learning how to do all these tasks. Keep each chore simple, with one or two steps maximum. Praise your child for their effort, not the quality of their cleaning. Even if the clothes don’t get all the way into the hamper, or if it takes him or her ten trips to clear the table, focus on the positive. Above all, remember that you are trying to create a positive experience for your child in doing chores. By selecting age-appropriate activities and keeping it fun, you can go a long way in helping your child learn to do simple tasks around the home.